The internet is a crazy place; it has the power to make the most trivial thing go viral, make an average person famous overnight and even has it’s fun trolling celebrities. While most could not figure out the maze of the web, some brands aced their marketing strategy by taking advantage of the internet. Dove’s ‘Real Beauty’ sketch ad had more than 30 million views within 2 weeks. This campaign was focused primarily in Canada, U.S, Australia and Brazil, and the video was translated into 25 languages to make it relevant and relatable to all viewers. 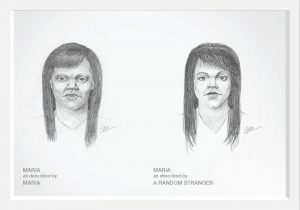 Dove hired a trained FBI sketch expert and invited selected women; all of whom were seated behind a curtain and were asked to describe their facial features to the sketch artist sitting on the other side of the curtain. Then a stranger was asked to describe the same women to the artist. Later the women were shown both the sketches of them, and soon realised that other people perceived them to be more beautiful than they had thought. The ad without the product attracted mixed reviews and ends with the quote “You are more beautiful than you think”. We all remember the time when people suddenly started pouring a bucket of ice on their heads and the internet was full of those videos. Well, this was done to spread awareness of the ALS disease. The challenge was to pour down a bucket of ice on oneself and nominate a minimum of three people, causing a ripple effect. It gained popularity when the challenge was taken on by movie stars, athletes, politicians and so on. It had a total of 1.2 million videos on facebook and was mentioned 2.2 million times on Twitter. The campaign raised more than $100 million within a few weeks, but was also criticized for its waste of water. Apart from its premium positioning, Heineken is also known for its diversity and inclusiveness. 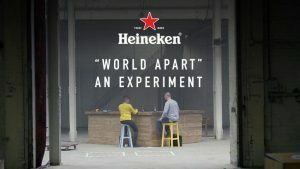 In the ‘World Apart’ campaign, Heineken decided to bring together people with contradictory opinions with the question “Is there more that unites than divides us?” First, the participants were asked to share their opinion on particular subjects and it was shot separately. Then, they were put in a room with a partner to set up furniture as an icebreaker; while to establish common ground, the participants asked each other questions. After this bonding session, they were shown the video of what their partner’s view was on the subject. Even though they were surprised that they had contradictory opinions, they decided to discuss their differences over a beer. This ad generated 40 million views and also opened up discussions on various political and social topics. Old Spice generated 40 million views within 30 days of their ad release. ‘Proctor & Gamble’s’ research showed that women were the ones who purchase perfume and body wash for their other half, since men in general, do not particularly care about what they use. That is why the Old Spice representative addressed the female audience for a man’s product. The crisp and funny element of the video caused a frenzy on the internet and the representative was called the ‘Old Spice Guy’. After initial success, Old Spice decided to respond to comments and tweets in real time. 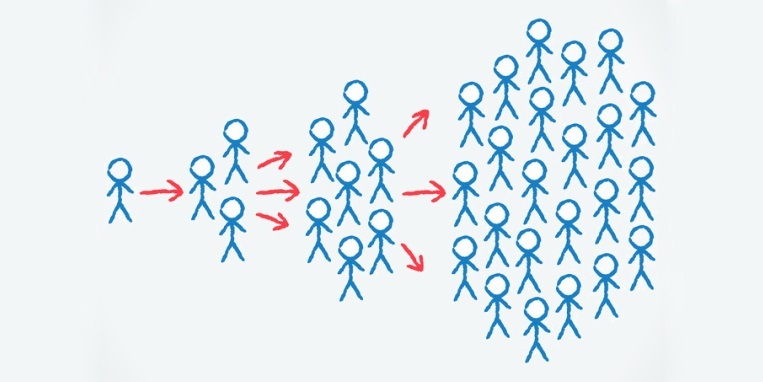 This also created engagement with the brand, where the Old Spice Guy was even asked questions by celebrities, and once responded to Ellen Degeneres’ tweet which was telecasted on the Ellen show, subsequently increasing its viewership.